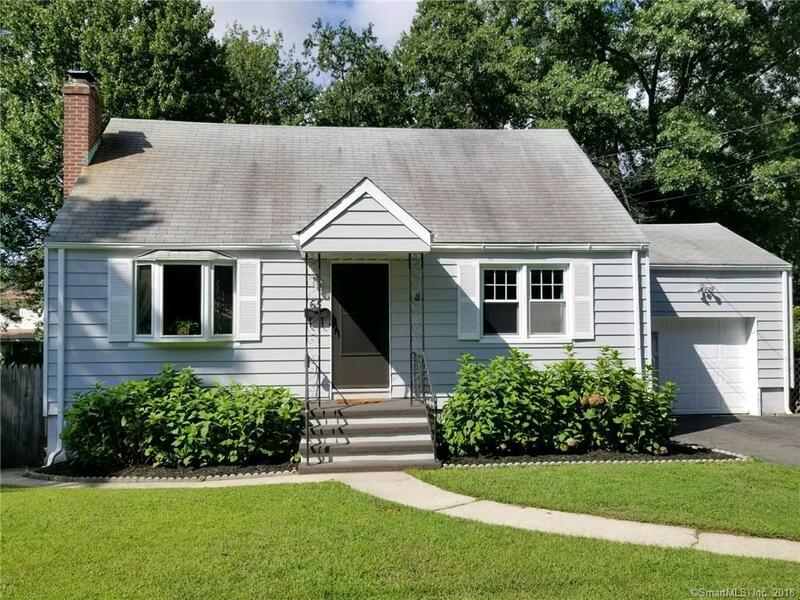 VERY CHARMING CAPE BOASTING LIVING ROOM WITH FIREPLACE AND BOW WINDOW, LARGE EAT-IN KITCHEN WITH BEADBOARD WAINSCOTING, GLEAMING HARDWOOD FLOORS ON MAIN LEVEL, ARCHED DOORWAYS, MAIN LEVEL MASTER BEDROOM, REMODELED BATHS, ATTACHED GARAGE, AND FULL WALK-OUT BASEMENT FOR FUTURE EXPANSION. OLD OIL TANK IN BASEMENT WAS JUST REPLACED, FRESHLY PAINTED KITCHEN, TRIM, BASEMENT, AND EXTERIOR, NEW SHUTTERS, SOME NEW WINDOWS. THIS IS THE PERFECT STARTER HOME OR CONDO ALTERNATIVE. LARGE, FENCED BACK YARD AND SPACIOUS DECK FOR ENTERTAINING OR JUST ENJOYING THE COMFORTS OF HOME. Directions: Flax Hill Rd. Or Connecticut Ave. To Scribner Ave.